I have HOW MANY bodies??? We are such funny characters ... we will say things like “I’ll believe when I see it”, yet we know of the wind … yet we cannot see the wind, we only see the effect of the wind … we know of electricity … yet we cannot see electricity, we only see the effect of the electricity … we know of gravity … yet we cannot see gravity, we only see the effect of gravity. We are delighted and amazed when we put two magnets together and watch as the either repel each other or snap together ... we do not see the magnetic field, we simply see the effect of it. Sometimes things can appear in different states…like water. We know that water can exist as a liquid, a solid or a gaseous state and yet it is still H2O, which is water. We might use different words to describe the attribute of the state of water like ice or steam, but it is still water at its core. So might it be possible and even reasonable to say that while we may not see everything with our physical eyes we can find proof that there are unseen things that exist that we can know that by the effects they create? And wouldn’t it also be possible to say that perhaps we simply haven’t seen something in another state like water might appear? Albert Einstein is credited with proving that all matter can be broken down into smaller components so that we can move beyond the material realm and into the realm where everything is energy. A law of nature called The Law of Vibration states that “nothing rests; everything moves; every-thing vibrates”. The lower the vibration, the slower the vibration. The higher the vibration, the faster the vibration. Since we know that everything vibrates, we also know that the speed at which it vibrates is what allows us to distinguish between two things. By things, I mean that something can be an object, an emotion, a thought, a sound, a light … all based on the speed or frequency it vibrates. The lower and slower something vibrates, the denser it becomes … like our physical world. 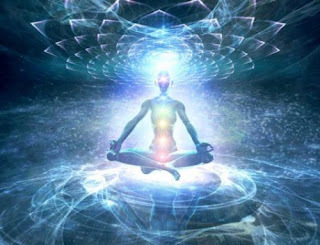 The higher and faster something vibrates, the lighter it becomes and the lighter it becomes, it moves out of the range visible to our physical body eyes and ears and normal range of physical perception. When two frequencies are brought together, the lower will always rise to meet the higher and this is known as the principle of resonance. So what does any of this have to do with me having many bodies? Your physical body vibrates at a lower frequency, so it is dense and vibrates within a specific frequency range. Your thoughts create your mental body which vibrates at a slightly higher frequency than your physical body. Your emotions and feelings create your emotional body which vibrates at a slightly higher frequency than your physical and mental bodies. Sounds create your sound body which vibrates at a slightly higher frequency than your physical, mental and emotional bodies. Light creates your light body which vibrates a slightly higher frequency than your physical, mental, emotional and sound bodies. 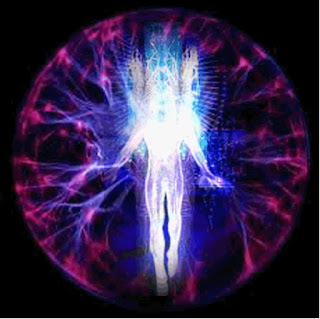 Your soul or essence which creates your Spiritual body which vibrates a slightly higher frequency than your physical, mental, emotional, sound and light bodies and together they create your reality. All your bodies work together, whether you are aware of them or not. Each body stores information about every experience you have and the combination of this is why no two people will see or experience anything exactly the same. We are all unique and individual.